Discover the best secrets for younger-looking skin at any age! Our skin is constantly changing, and as time goes on, all these changes are not always so welcome! 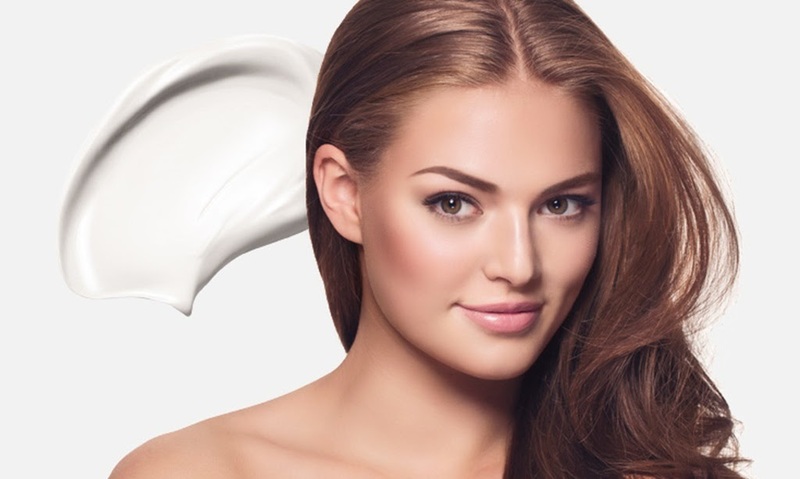 But by choosing the right skin care products, we can ensure that our skin looks great at any age, says Oriflame skin care expert, Holly Grenfell. "By limiting the effects of sun damage, pollution, weather exposure and use good skin care products, we can actually slow the aging process." 20s "At this age, the primary objective is to achieve a balanced skin but also deal with the damage caused by late nights, stressful days of school or even a little too much partying, smoking or sun." "Maintain a good skin care routine NOW and it will pay off later! It's not about expensive super serum, but about basic things like removing makeup before going to bed and avoid the sun will make a difference. Look for a light day cream with antioxidant effects and a facial cleanser that suits your skin type "
30s 'In 30 starts the skin's production of ekollagen and elastin to decrease, which causes fine lines. It can be an intense period where you are in the midst of their careers but also family life, which often leads to puffy eyes, dark circles and dehydration. " "Choose an effective but gentle facial cleansing and exfoliating products containing hydroxy acids to remove dead skin cells and give your skin a youthful glow. Look for creams that boosts collagen production with plant stem cell extracts and contains UV protection." 40s " At 40, our skin begins to react to hormonal changes, gravity and previous sun exposure. Pigmentation is a major problem and fine lines turn into wrinkles when the production of collagen and elastin continues to drop. " "It's time to invest in a richer day cream to prevent drying which makes lines even more visible. Correct sun damage and increase cell renewal with retinol and a firming and restorative night cream to help the skin's natural rejuvenation process while you sleep. " 50 + "Now, the skin loses fat and volume, and as much as 20% of our collagen has been lost for good. The skin may look limp out and the lines may have become deeper when hormonal changes result in drier skin. " "Use a rich moisturizer day and night to prevent water loss and prevent potential dryness irritation. Invest in an eye cream specifically made ​​for corrective action and provide effective nutrition to the sensitive area around the eyes. " "Apply the eye cream using the ring finger and pat gently into the nose to stimulate circulation and reduce puffiness - rubbing can cause wrinkles!" "Skin care does not stop at the face - décolleté will show signs of aging with wrinkles, discoloration and sun sensitivity. Generously apply SPF and well chosen skin care products and hud cremer with similar ingredients that you use on your face."